Filmul Black Lightning este un film nou din 2010 bun de vazut. 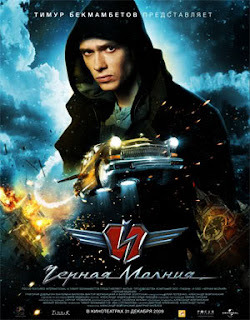 Regizorii filmului Black Lightning sunt Alexandr Voitinsky si Dmitriy Kiselev, iar filmul Black Lightning apare in luna Februarie 2010. Russian trailer for the Russian adventure film Black Lightning, which is produced by Timur Bekmambetov. Film follows a kid who, after receiving a beat up old car from his father, becomes a superhero after discovering that this same car can fly.